Every year in January after the holidays, I try to post a few healthy recipes so we can try to get on track and eat healthier than how we ate the month before. Not only do you feel better but you also learn new ways to make your meals without all those calories. What’s funny is that most of my followers always ask for the heavy duty, greasy recipes that you find in Colombia. Only a few will ask me for healthier versions every now and then. 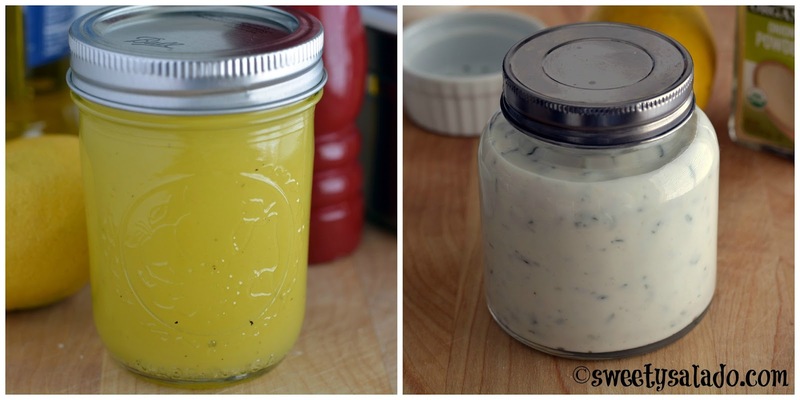 So, if you’re trying to eat healthier this year, like many of us are, these low calorie, low fat salad dressings should come in handy. They are made with natural ingredients and will add a lot of flavor to your salads without all those heavy calories. 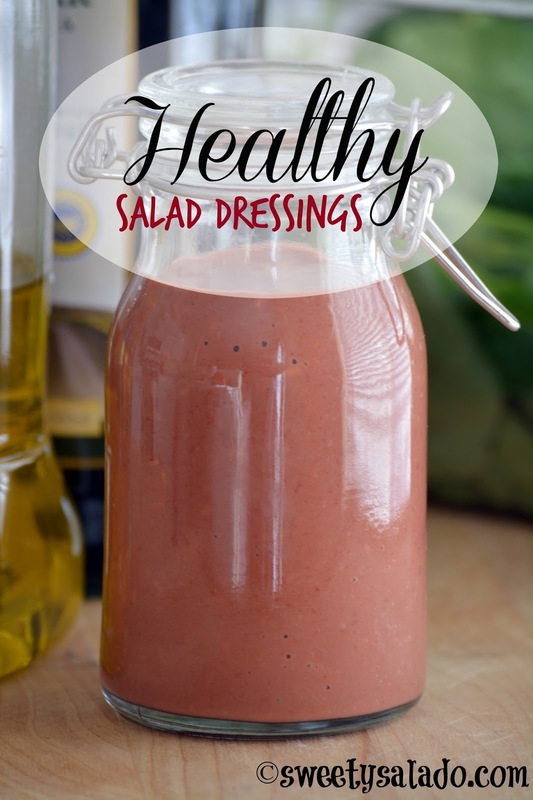 I do have to say that I looove eating my salads with regular salad dressings, so I usually don’t make mine with low calorie or low fat ingredients, I simply add less to my food. However, if you want to go all out and do not want to consume more calories than what you need, these recipes are a great alternative. Mix the olive oil, lemon juice or vinegar and salt and pepper to taste in a small bowl or glass and store in the refrigerator in an airtight container. 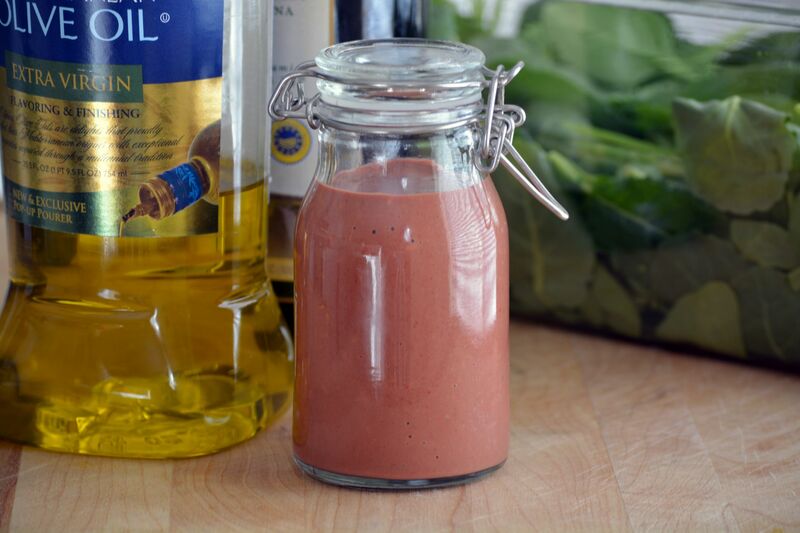 Vinaigrette may last up to 2 weeks. Mix the buttermilk, yogurt, parsley, dill, chives, onion powder, garlic powder, lemon juice, salt and pepper to taste in a small bowl or glass and store in the refrigerator in an airtight container. Dressing may last up to 2 weeks. Blend the berries, balsamic vinegar, olive oil, honey and salt to taste in a blender and store in the refrigerator in an airtight container. Dressing may last up to 2 weeks.